The program that will enhance your career in real estate. Not only will you get a real-world, practical education balanced with academic theory, but you will also make important connections with professionals in the commercial real estate industry. 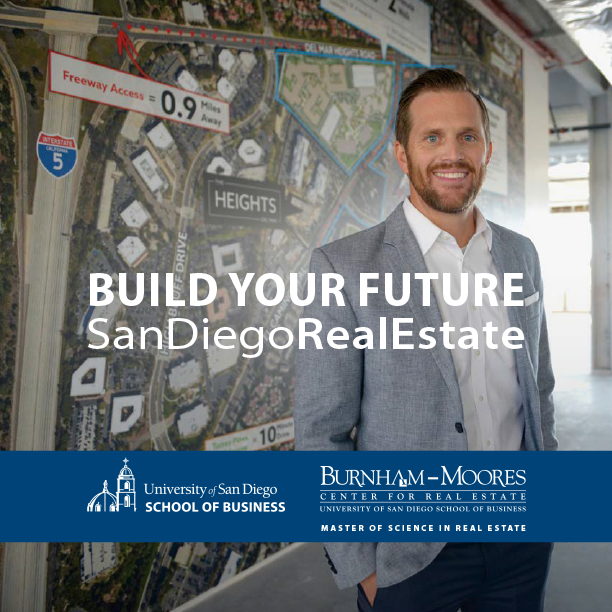 Our unparalleled learning environment coupled with valuable corporate connections are just a few of the reasons students choose to pursue their Master of Science in Real Estate (MSRE) at USD.